Valentine’s Day is just around the corner. If you’ve been putting off making dining reservations for yourself and your special someone, then we’ve got some great suggestions for you. A fabulous view of the ocean gives One Pico a beachy and romantic setting perfect for Valentine’s Day. 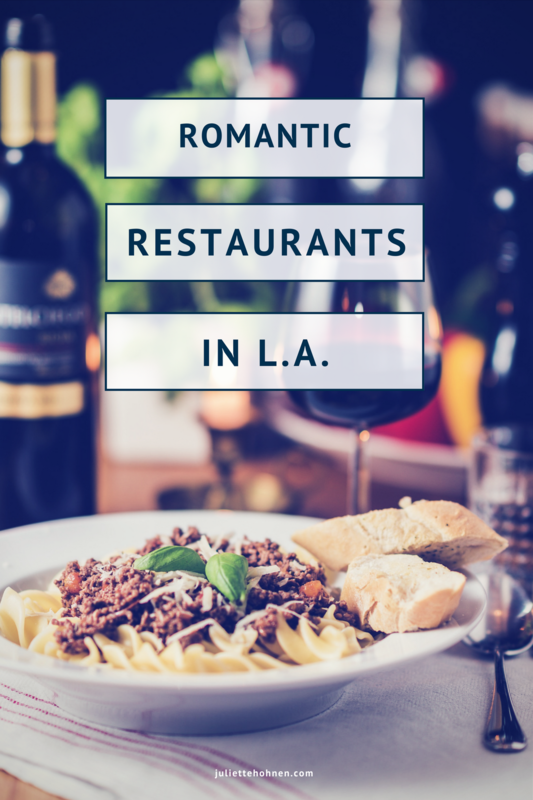 1 Pico is hosting a special romantic feast priced at $95 per person. Diners will enjoy a prix-fixe menu with starters that include Santa Barbara Spot Prawns and prosciutto-wrapped Asparagus; entrees like Hokkaido Scallop and Prime Beef & Maine Lobster; and sweet treats including Dark Chocolate Caramel Tart and House-made Brioche Tiramisu. This scenic eatery boasts a market-fresh seafood menu in a chic patio garden setting. The prix-fixe Valentine menu at Herringbone Santa Monica will offer options from local markets, including a daily selection of oysters, shrimp, Maine lobster and king crab, as well as a black truffle risotto with shaved parmesan cheese, and entree’s like a whole grilled branzino, a Chilean seabass, a dry aged bone rib-eye steak, and lamb chops. 71Above screams romance in almost every way. The dining room is designed so that no matter where you are sitting you’re in range of the floor-to-ceiling windows, which offer a magnificent view of Los Angeles. On Valentine’s Day they’ll be serving a five-course menu for $125 per person. Craft’s emphasis is on seasonal and local food, and it knows how to put on a special occasion. Meant to mimic dining in someone’s home, dishes are served family style in the center of the table. This year, Craft is serving a Valentine’s Day prix fixe dinner menu for $125 per person. Sotto offers a cozy Italian basement vibe and the stellar cooking. This year, Sotto is offering a five-course, $75-per-person Valentine’s Day menu. The menu will feature options for each course, with favorites from the regular menu, as well as seasonal offerings for the evening. There’s an optional $45 wine pairing. Dine with a view at Hotel Casa Del Mar’s Catch Restaurant this Valentine’s Day with its three-course menu, including dishes such as Fowl Terrine with pomegranate, Winter Salad with spicy hazelnuts, Seared Scallops with romesco sauce, Vegetable Paella with season mushrooms, and Passion Fruit Dessert with egg white quenelle and heart shaped chocolates, to name a few. The cost is $95 Per Person. For more last minute dining options, be sure to check out Open Table to see which restaurants still have reservations open. You can click here to see what’s available in the LA area on Valentine’s Day.